Toronto singer-songwriter Charlotte Cornfield hinted at her retirement aspirations in the title of her 2016 LP Future Snowbird, but for now she's still working away, and she's just treated "Time Bomb" from that album to a new video. 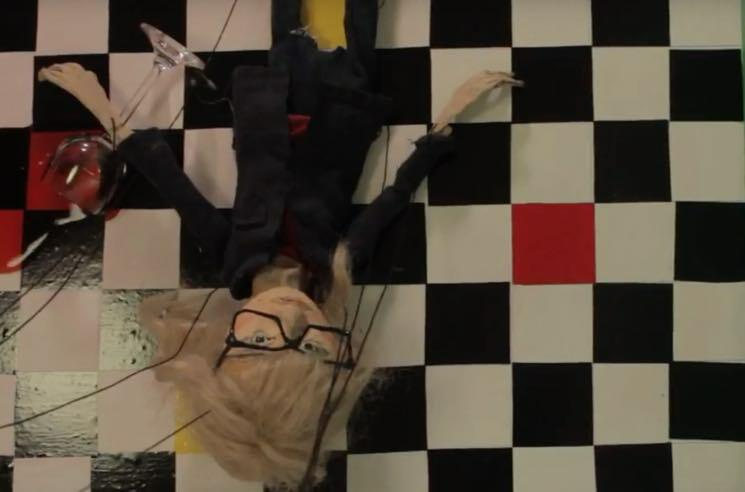 The clip was designed and created by Lily Ross-Millard, and features a marionette incarnation of Cornfield singing into the camera, as her surroundings change to reflect rather literal interpretations of the lyrics. "'Time Bomb' is written in the voice of a friend giving another friend advice about dating," Cornfield tells Exclaim! "I just realized that for years I was calling people for advice and never taking it, 'cause you never do, y'know? But there's a moral to the story here, and that's keep company with genuine people. If there's a through-line in my past heartbreaks it's people being disingenuous or too good to be true." The video arrives just as Cornfield gets set to play a string of summer festival shows. Check out her upcoming live dates below, then hit play to get your first look at the "Time Bomb" video.